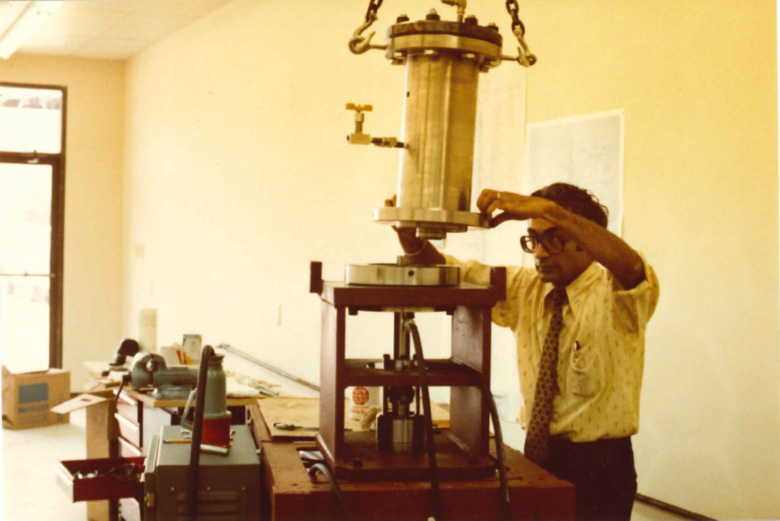 Dr. Kalsi’s hydrodynamic seal research began in 1968 with analysis and testing of slanted O-rings, as part of his M.S. thesis. His advisor, Gabrial Fazekas, was one of two people who independently proposed using slanted O-rings as rotary seals in the late 1950s. The core idea was to use the slant to force a hydrodynamic lubricant film into the dynamic sealing interface in response to shaft rotation. Testing performed by Dr. Kalsi revealed that slanting an O-ring results in significantly less friction and wear, even when differential pressure is present. More intensive fundamental research was completed as part of a Ph.D. dissertation at the University of Houston in 1975. 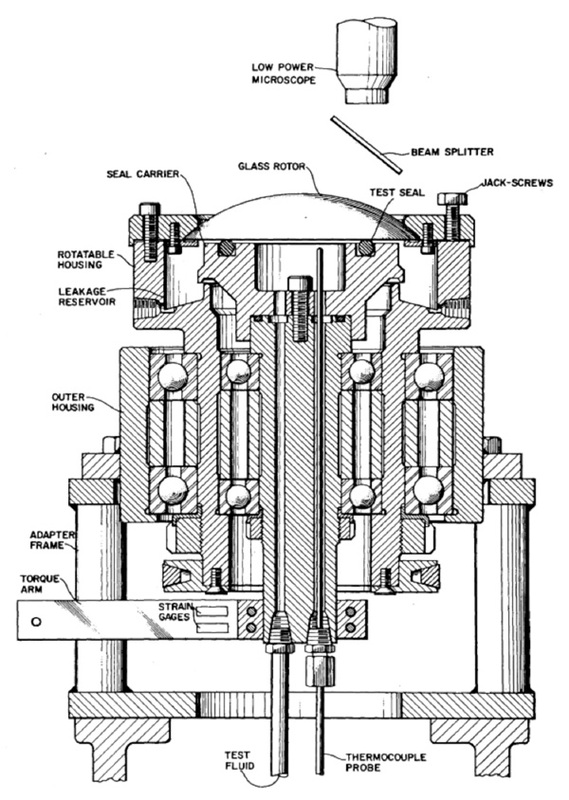 The lubrication mechanism at the seal interface was studied, using an optical interference technique in a test fixture that allowed direct observation and measurement of film thickness for the first time. 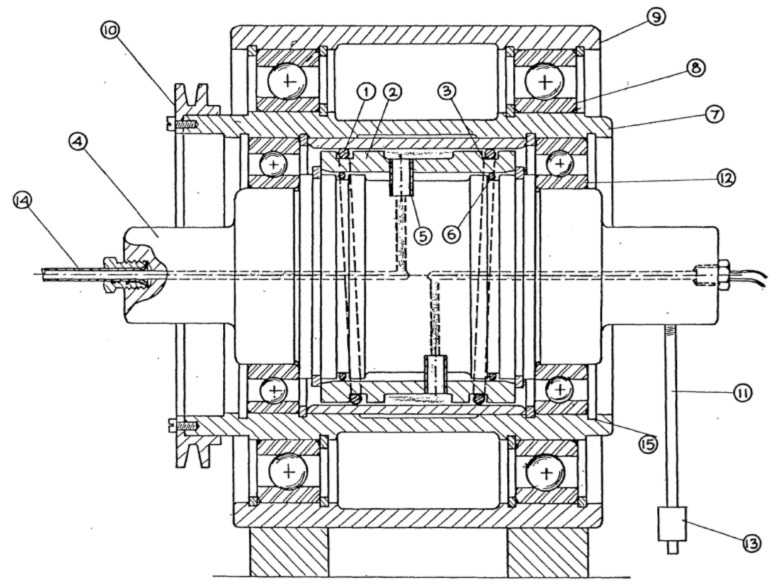 This work provided a much greater insight into the operation of a hydrodynamic seal. As a. result of this fundamental research, non-dimensional equations that predict minimum film thickness, coefficient of friction, and leakage of a slanted seal were developed. The overall conclusion of Dr. Kalsi’s graduate research was that slanted O-rings operate with a predictable elastohydrodynamic lubrication mechanism, and by proper selection of design parameters, enough film thickness can be generated to reduce dynamic friction. Based on this, Professor Fazekas challenged Dr. Kalsi to use the newly acquired insights to create a superior commercial rotary seal product line. 1970 Master’s Thesis — Fixture for rotary testing of slanted O-rings. 1975 Ph.D. dissertation — Fixture for measuring the film thickness of hydrodynamic rotary seals. Dr. Kalsi founded Kalsi Engineering in September 1978 to provide consulting services related to the design, analysis, and testing of mechanical equipment. Before this, he was the manager of research and development for a major valve manufacturing company. Kalsi Engineering began as a one-man operation from the family home. During 1979, the company expanded to include three engineers, and moved into leased office space. These first two employees went on to devote the rest of their careers to Kalsi Engineering, eventually becoming the first vice presidents of the firm. One of the goals Dr. Kalsi had for Kalsi Engineering was to develop a rotary seal product line to augment engineering revenue, and promote stability through diversification. Another goal was to have a mechanical testing lab to support consulting engineering and seal development activities. Our first test lab was a leased storefront that was located across the parking lot from the company office. Our initial rotary seal development goal was to withstand a lubricant pressure of 1,500 psi for 200 hours of rotation at 295 ft/minute. This goal was achieved in 1981 using a wavy rotary seal that operated on a hydrodynamic lubrication principle. This seal used an unsupported area principle to compensate for wear of the seal material. Although this first high pressure seal design was mechanically complex, and commercially unsuccessful, it provided a glimpse of the kind of performance that we would one day achieve with far simpler rotary seal designs. This high pressure seal project also provided the fledgling company with a fully instrumented seal test fixture. The modest storefront lab and the new test fixture were ultimately used to develop our first commercially successful rotary seal product. That initial test fixture has remained in service now for over 35 years, and was used in 2014 to perform a 1,000-hour rotary seal test at 7,500 psi. In 1984, we built our own facility in Sugar Land, Texas—including a large mechanical testing laboratory. Although our facilities have continued to expand since those early days, one thing has remained constant: Our commitment to investing a significant part of our revenue into ongoing rotary shaft seal research. This longstanding commitment to product improvement benefits our customers by providing a variety of seal products that extend performance far beyond our initial commercial product offering. Our early research, beginning in 1968, makes us pioneers in the field of hydrodynamic rotary seals. The knowledge attained from our continual research over the ensuing decades makes us industry leaders. 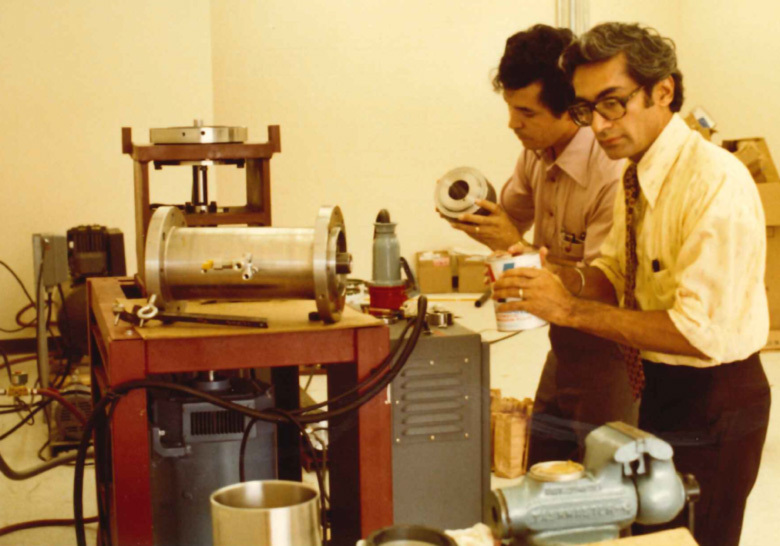 In this 1981 photo, Dr. Kalsi (right) and Daniel Alvarez are partway through the process of assembling Kalsi Engineering’s first seal test fixture. The laboratory was a small rented storefront. 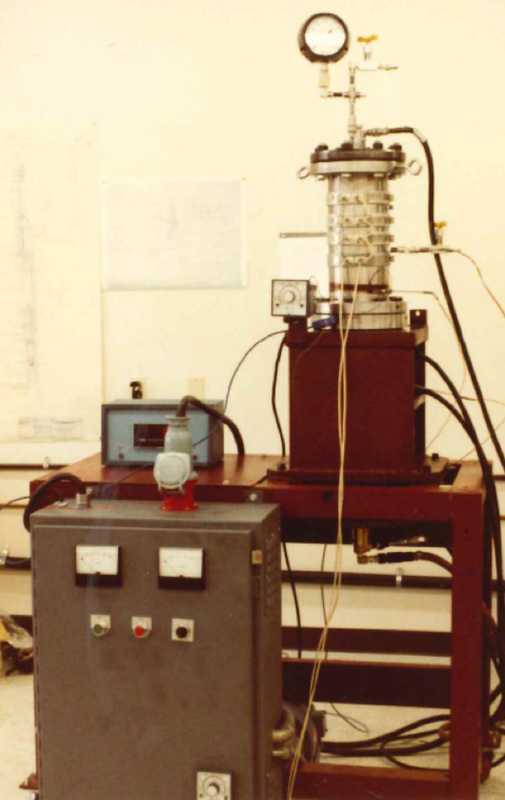 This fixture was used to develop and characterize our first commercially successful rotary sealing product. In this 1981 photo of our storefront-based testing lab, Dr. Kalsi is installing the pressure vessel portion of our first rotary seal test fixture. The fixture remains in service to the present day, and has gone through numerous adaptations over the years to simulate a variety of operating conditions. This 1981 photo shows the fully assembled fixture, complete with instrumentation wiring, lubricant and drilling fluid supply lines, and heater bands. The fixture was still in use as late as 2017, and was last used for testing seals for high pressure washpipe service.